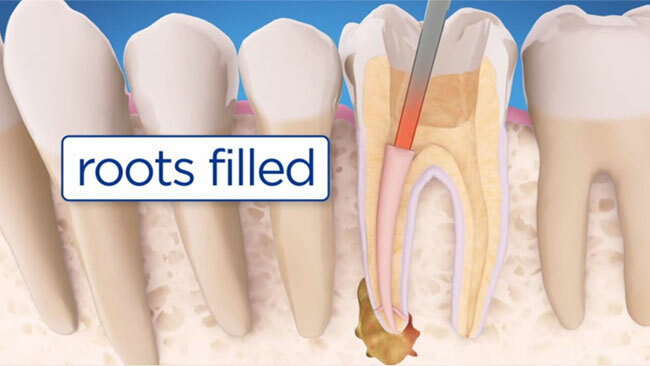 Once retreatment has been selected as a solution to your problem, Dr. Matthew Haddad or Dr. Mark Haddad will reopen your tooth to gain access to the root canal filling material. This restorative material will be removed to enable access to the root canal. The doctors will now clean your canals and carefully examine the inside of the problematic tooth. Once cleaned, the doctors will fill and seal the canals and place a temporary filling in the tooth. At this point, you will need to return to your root canal specialist in Houston as soon as possible in order to have a new crown or restoration placed on the tooth to restore full functionality.